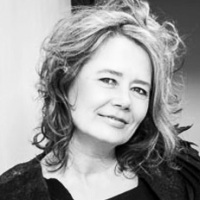 Pia Tikka, PhD is Research Professor in the Centre of Excellence in Media Innovation and Digital Culture (MEDIT) at Baltic Film, Media, Arts and Communication School, Tallinn University. She has joined MEDIT after winning Estonian Research Council’s Top Researcher Grant. Dr. Tikka is a filmmaker and scholar whose research concerns psychophysiological and emotional basis of cinematic systems. Prior to her joining BFM, she was the Principal Investigator for the NeuroCine project at Aalto University in Finland. In 2010, she was a Fulbright scholar in the Institute for Multimedia Literacy at the University of Southern California and a researcher in residency in Neuroaesthetics at the Minerva Foundation, Berkeley. She was also a Visiting Research Fellow in the Institute of Creative Technologies at De Montfort University, UK (2009-2011), and a lecturer in Film Theory and Film Analysis at the Baltic School of Film and Media at Tallinn University (2006-2007). As a filmmaker, Dr. Tikka has directed the feature films Daughters of Yemanjá (1996) and Sand Bride (1998). She has also been involved in various interactive media projects, such as the Academy of Finland-sponsored Enactive Cinema, winning such awards as the Möbius Prix Nordic prize for interactive storytelling in 2005 and exhibiting her work internationally.